Margaret Hema, each facial oil is hand made. Created by nature with a helping hand from aestheticienne facialist Margaret Hema, each facial oil is hand made. Margaret Hema Skin Care is for you if you look for products with the utmost integrity; which are sensible, uncomplicated and consistent. They are easy to apply and result in skin looking and feeling beautiful. Margaret Hema’s building block products are Facial Cleansing Oil and Millennium Face and Body oil. 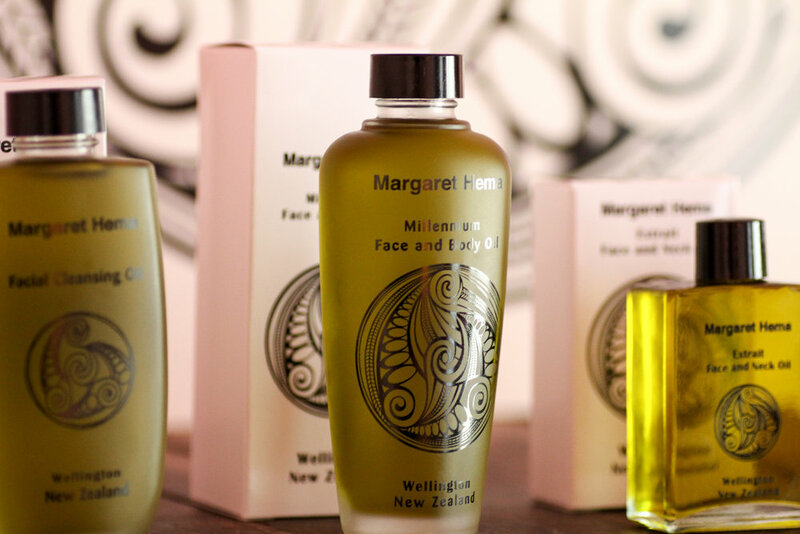 Margaret considers all skin to be sensitive, and her products are developed with that in mind. The perfect place to start is the Millennium Face and Body Oil in the morning to nourish your skin all day - under makeup or on its own. Then, cleanse at night with Facial Cleansing Oil followed by a little Millennium Face and Body Oil. It really is that simple! Her philosophy is, "skin should be treated like beautiful fabric."